Celebrating 30 Years of White Water Rafting in Maine! Maine white water rafting is more than "just a business" to us. It is even more than the thrill of whitewater. It is a time to shed worries and stress - a time to smile and laugh, a time to be part of the river's unending flow. Come feel and enjoy our natural high. Let the river be yours, too. Magic Falls Rafting Company strives to individualize your experience by keeping our groups small. We aim first for safety. Second, for a rafting trip that touches the heart and excites the soul! That's our mission. Magic Falls Rafting Company was founded in 1989 by David Neddeau. His love of the whitewater rivers and his knowledge says it all. He wanted to create a whitewater rafting trip that everyone would remember, from the first minute they arrived at Magic Falls until they left. This is probably the reason Magic Falls has had so much success! David and Donna started out with one raft, one trailer, and not much else, except David's dream. Thirty years later, Magic Falls now has over 40 rafts, inflatable kayaks and float tubes, buses, vans, trucks and 40 of the best guides you will ever meet. Some of their guiding staff have been with Magic since 1989. Accommodations consist of the Dead River Lodge with king, queen and bunk rooms; the Rivers Inn, a housekeeping guesthouse for groups of 16 and, a campground with camping sites and cabin tents, In 2010 Dave founded Magic Rivers, a rafting company dedicated to offering a double run of the Upper Kennebec Gorge. The Magic Rivers Multi-Gorge trip is for thrill-seeking adventurers. In 2013, he added the "Cheap Thrills" Trip, a quick and inexpensive way to experience whitewater rafting in Maine. 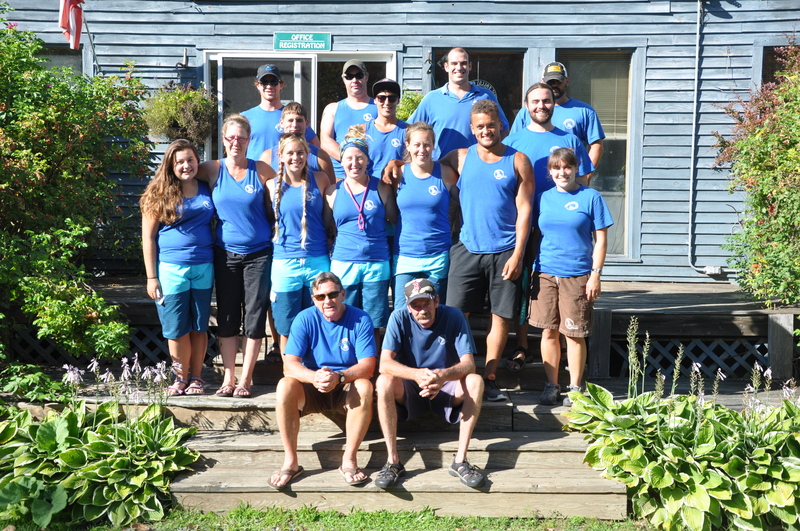 The Magic Falls Staff at Our Maine Lodge: Our expert rafting guides help make your adventure on the Kennebec River and Dead River safe, fun and exciting.